Soul Crash — Mobers.ORG — Your Daily Source For Mobile FUN! Soul Crash is a real time sword-fighting action game where you can collect heroes to build a team of three and fight against REAL people around the world! You need to control 3 buttons, one is TAG, second is COUNTER, and the last one is SOUL ATTACK, but the strategy is endless with combination of skills and timing. Over 12 million users already became heroes when Soul Crash first came out on Facebook in 2012. The same creators added the most-wanted features of all time: REAL TIME MULTIPLAYER and CLANS. 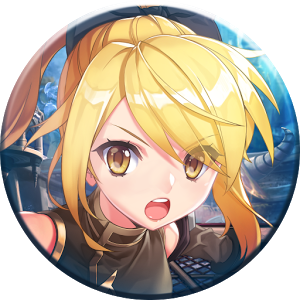 ★ Action Game : Soul Crash is a real time sword-fighting action game where you can collect heroes to build a team of three and fight against REAL people around the world. ★ For anyone : Soul Crash is a free fighting game and it can be played by adults and teens. Your whole family can play and enjoy this awesome game. ★ Easy : We care about you and that's why we made our game very easy to play, so you don't have to watch any tutorial or guide to start playing Soul Crash. It is very easy to play. ★ Free : Our fighting game is free and it will stay free for life, so there is no hidden fees, no special memberships and no annual subscription fees to enjoy the awesome and unique gameplay of Soul Crash. ★ Online Game : It is a online game which allows you to play with any one around the world. You will require a good network connectivity for the same. ★ Multiplayer Game : Fight against the REAL user! This is by-far the most-wanted feature by all and has finally made it to the mobile! ★ Earn Chests : Earn chests to unlock rewards, and collect the most elite soul warriors and upgrade your hero! Showcase your heroes to your opponents. ★ Build your team : Build and upgrade your ultimate team of heroes which will help you to defeat your opponents. ★ Awesome graphics : We designed some awesome, attractive and high quality graphics specially for this game. You will have an awesome feeling while playing in this amazing fighting environment. ★ Within all your devices : Our game is compatible with all smartphone sizes and even tablets. 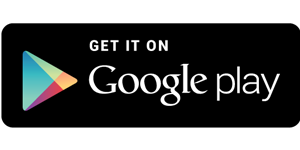 So, you can install it for free on your smartphone or your tablet. ★ Track Progress : Track your progress through multiple arenas and all the way to check your rank of Grand Soul Masters. ★ Create CLAN : Create or join a clan to share your hero cards with anyone around the world and build your own soul-linked community, and show the power of your heroes to others. ★ Location : Displays the country that you are fighting for, depending on where you are located.